The controversial Paseo de Mission Hills project is finally a go. The developer agreed to lower the project height by 12 feet, paving the way for a community group to drop its opposition to the residential-retail complex proposed for the heart of Mission Hills. Having pushed the two sides to reach a compromise, the City Council voted unanimously yesterday to give the developer his approvals. "Thanks to the community, thanks to the developer, I know your long, strange trip is ending with this," said Councilman Brian Maienschein, who had exhorted the sides in July to try one more time for a compromise. Bob Lawrence and his co-developer, CLB Partners, will build 61 townhomes and flats and eight affordable-rate apartments atop retail and office space. The project will also restore the former Ace Drug Store and the Funcheon Building on Washington Street. The one-acre site is bounded by Goldfinch and Falcon streets and Fort Stockton Drive. The five-story building will be 53 feet tall, after the developer agreed to remove a "mezzanine" level that would have given residents access to roof-top patios. A spokeswoman for the community group said she was thankful for the City Council's support and proud of the neighbors' work, which they see as holding the line against extending building heights in Mission Hills. 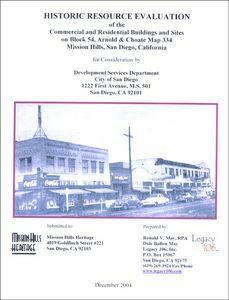 The Mission Hills Heritage group opposed the project based on its height, scale, style and proposed destruction of historic buildings. The developer also agreed to change some decorative choices to appease the group. "Last meeting, the developer was not going to get the votes that he needed. As a result, that leverage made him realize that he should come to the table," said Janet O'Dea of Mission Hills Heritage. The project has a convoluted past with the council. In April, the council approved the community group's appeal of the project, then, after Councilman Tony Young said he had misvoted, the council voted to kill the appeal. That was followed by a decision to put off the vote until a July 19 meeting, when the council continued it again. Lawrence said yesterday he is "excited to be able to go forward" with construction in January. "We believe we processed the approvals for this project in the best way you can go about it, with a tremendous amount of community involvement and community outreach," Lawrence said, pointing out that other community groups, Uptown Planners, Save Our Heritage Organisation and the Mission Hills Business Improvement District, had recommended the project to the Planning Commission, which endorsed it 4 to 1.